Minchinhampton Golf Club is committed to maintaining the highest environmental and ecological standards throughout its business activities. To this end, our green staff all have the necessary experience and expertise to manage all environmental work on behalf of the Club. For many years, the golf industry has supported an environment competition for golf clubs all across the UK, in order to encourage and promote ‘Best Practice’ within the industry. Run by the British International Greenkeepers Association (BIGGA) between 1997 and 2008, Minchinhampton Golf Club won best newcomer in 2003, was the national winner in 2004, and received a Highly Commended Certificate in 2008. The competition was taken over in 2009 by the Environment & Ecology Department of the Sports Turf Research Institute (STRI), following a re-branding to “The Golf Course Environment Awards”. In 2009 Matt Worster (then Ecology Coordinator) won the inaugural “Conservation Greenkeeper of the Year” award in recognition of his enthusiasm and dedication to the environmental work he undertook and managed on behalf of the club during his time. Currently this work is carried out by all members of the green keeping team. Minchinhampton Golf Club sits atop a Limestone Brash bed. As such, the typical habitat types found in the area are unimproved limestone grasslands and beech woodland. 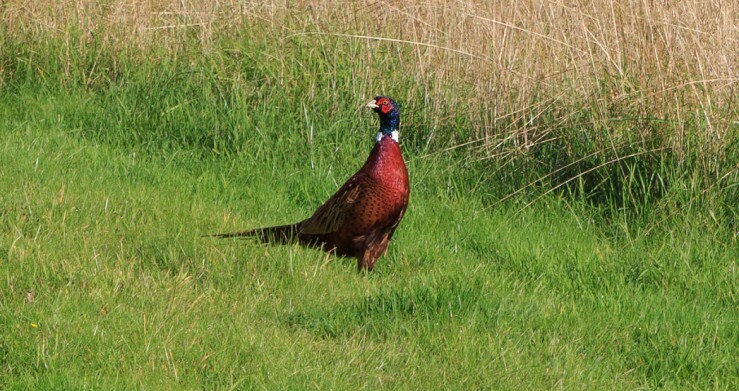 Minchinhampton Golf Club aims to create, restore and enhance such habitat types to ensure the golf courses sit as comfortably as possible in the landscape, whilst providing both a rich resource for local wildlife and a quality golfing experience. The rough grassland found off the golfing line is known as “Ecology Rough” and is managed through annual or biannual cutting and scarifying with all clippings collected. 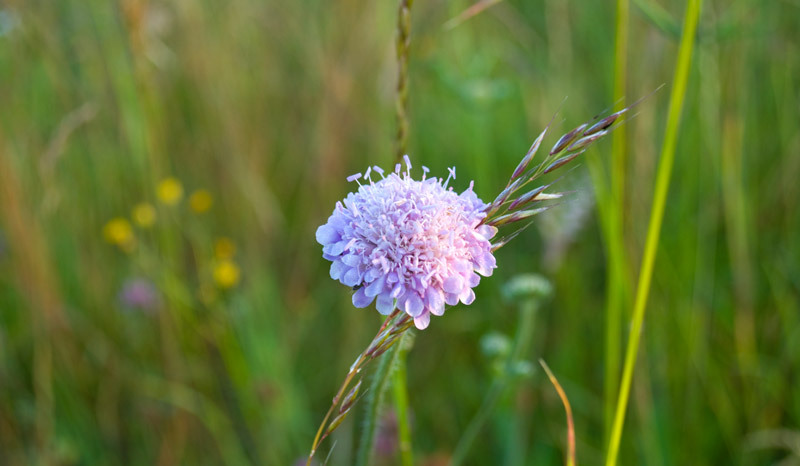 Over a number of seasons this practice will lower the nutrient load in the soil, which will reduce the competitive ability of the grass species and produce gaps for the establishment of wildflowers typical of grasslands in the area. 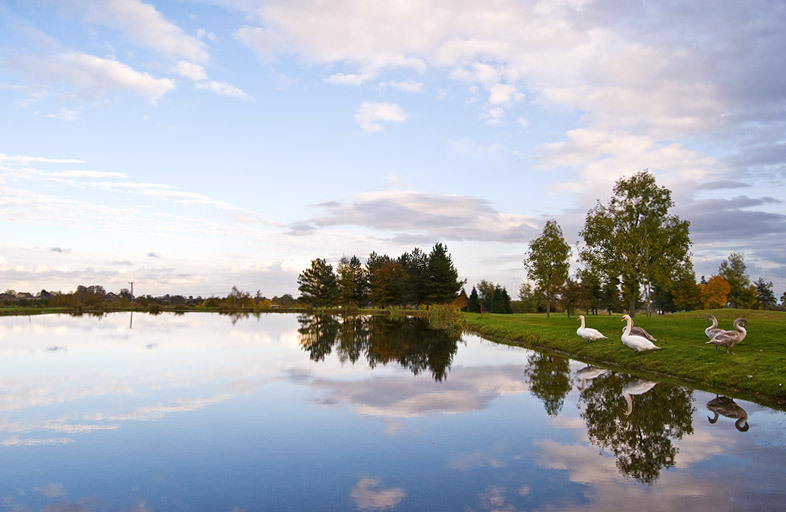 Minchinhampton Golf Club has three wildlife ponds tucked away in quiet areas of the courses. These features have been created by the Greenstaff Team purely for the benefit of local wildlife and will be allowed to mature over time with minimal management interference. There are two lakes on site which were built primarily as irrigation water reservoirs; however they do also provide an important aquatic resource. 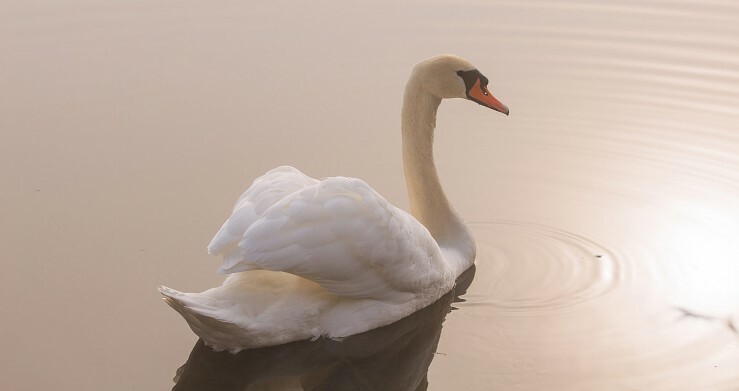 Both lakes have been planted with aquatic plants for the benefit of wildlife and are now regularly visited and used by swans and other wildfowl such as coots and ducks. Trees are a very important resource for any inland golf club, and one which needs managing sensitively and professionally. 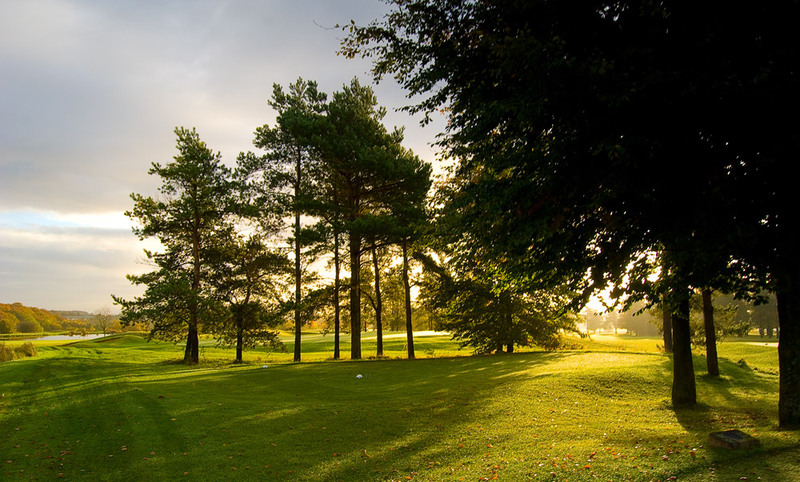 Minchinhampton Golf Club uses a tree sub-committee to manage the trees. The tree sub-committee surveys the plantations, noting the health, spacing, species diversity and factors such as damage. Trees can then be monitored effectively and those that need to be removed can be marked for thinning. Logs produced from thinning are either used to make eco-piles around the courses or are split and used in the clubhouse wood burner. There is a diverse range of hedges present around the courses. We are fortunate to have mature hedges retained from the previous agricultural land use which have wide dense bases and form a very valuable habitat resource. Drystone walls are a famous feature of the Cotswolds. Many of the walls around the courses have fallen in to a bad state of repair, but the club has begun a program of rebuilding to counter this problem. The club is fortunate to have an experienced and qualified drystone wall builder on the greenkeeping team and he leads the rebuilding work each winter. Minchinhampton Golf Club has a strong recycling policy and endeavours to minimise waste wherever possible. All cardboard, office paper, plastic bottles, cans and glass is collected and recycled by a local company. The Club has commissioned an energy survey on the Clubhouse and Greenkeeping buildings which was carried out by Severn Wye Energy Agency (SWEA) as part of the 20\50 carbon reduction scheme. Stage one of the scheme saw the replacement of over 200 55W halogen light bulbs replaced with 11W energy efficient LED bulbs, which produce more light than the old inefficient ones, whilst using a fraction of the energy. Stage two of the scheme will see an improved lighting scheme for the main clubrooms, which can be easily and effectively managed through light sensors, movement sensors and staff input to reduce energy usage without having a negative impact upon user comfort. 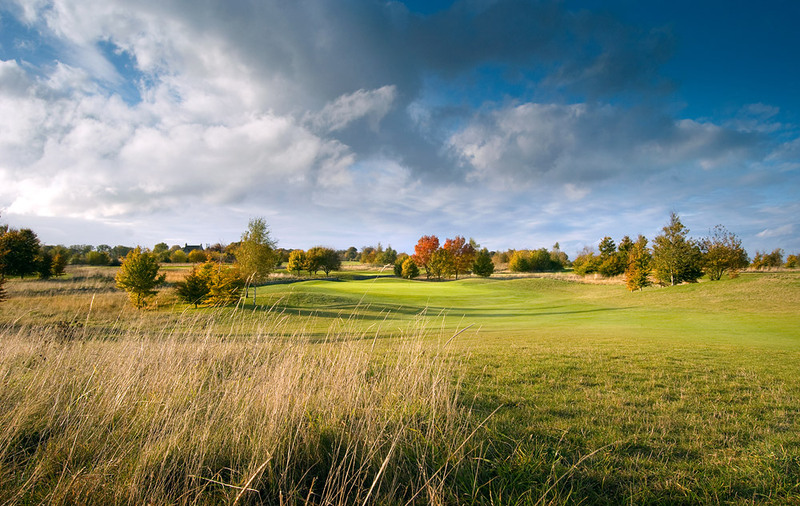 Providing good quality golf at affordable prices is the primary purpose of Minchinhampton Golf Club. Ecology work is not only seen as an important part of this service to members, but also as a way of generating interest to reach out into the local community to safeguard the future of the Club.